Since 2013, central and local government have reduced overall spending on discretionary support to help people meet urgent needs for food, heating, clothing and essential household items, according to today’s report from the National Audit Office. The Department for Work & Pensions paid grant funding of £347 million to single-tier and county councils for 2013-14 and 2014-15 to provide local welfare provision after the government abolished crisis loans and community care grants. Four-fifths of councils did not spend all the funding they were given on local welfare provision in 2013-14, and one quarter did not expect to spend it all in 2014-15. The Department also spent less on the discretionary advances and loans it continued to provide after April 2013. The NAO finds that councils had acted cautiously in designing local welfare support, as they were concerned about high demand and uncertain about funding after 2014-15. 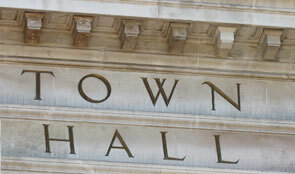 Local taxpayers and other stakeholders, however, can challenge councils to explain their decisions. Councils that the NAO spoke to had initially set restrictive eligibility criteria and limited public awareness of the support available. These councils said they were now using underspends to help fund provision in 2015-16 when a reduced amount of funding is included in their revenue support grant from central government. The future of local welfare provision appears uncertain. With reducing resources and competing pressures, many councils say they cannot afford to continue offering this support without specific government funding. The NAO finds that some councils have already stopped or reduced the provision they introduced in April 2013. Charities reported an increasing demand for their support in areas where local welfare provision had reduced, and were concerned they may not be able to meet additional demand if local welfare provision ceases. It remains to be seen how councils will respond to the government’s proposed continuation of funding for local welfare provision in the provisional local government finance settlement for 2016-17. Today’s report finds that the Department took steps to help councils develop local welfare provision, although councils said its help was of limited value. Councils provide different types and levels of support but there is no widespread benchmarking to help improve cost-effectiveness. Councils commonly provide support in the form of furniture and white goods, food vouchers and fuel-card top-ups, with only 24% offering cash support. Councils reported that the shift from cash to goods reduced the scope for fraud and targeted people’s needs better, but it also discouraged some people from applying for support. The NAO finds that councils either do not collect information on applicants and their needs, or if they do, they make limited use of the information. Councils have a limited understanding of the effectiveness of their spending on local welfare provision or the consequences of reducing their provision. The report also highlights the need for better co-ordination between national and local forms of welfare support. Councils reported that a significant proportion of the applications they received for local welfare provision were from people facing hardship as they switched between different types of benefits, experienced benefit delays or sanctions, or moved from benefits to work. Ineffective coordination also risked undermining the achievement of the government’s welfare policy objectives, for example, when council-provided support weakened the intended effect of benefit sanctions.